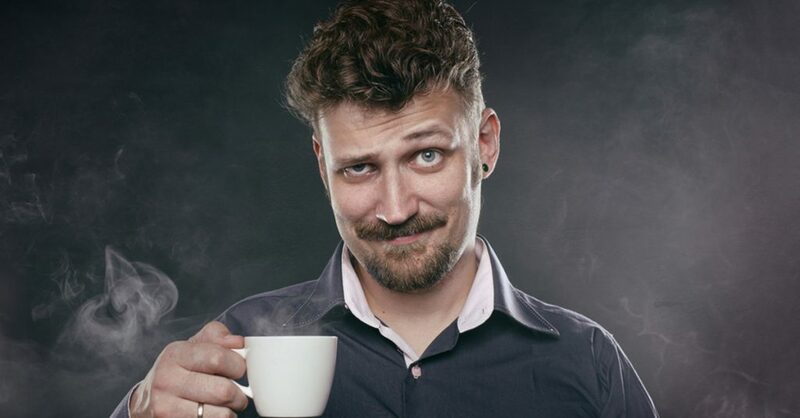 As we come home from another day at work, eat a bountiful dinner, and sleep in a warm, comfortable bed, we pause to reflect on a time in our not-too-distant past when things weren’t nearly as easy. 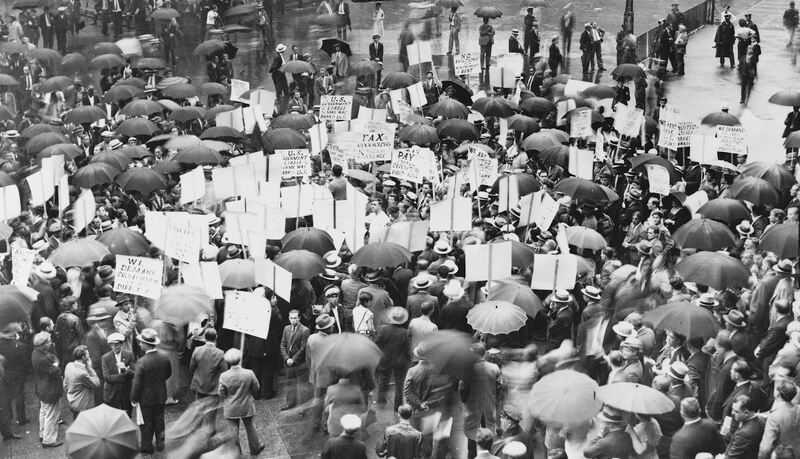 While its causes and remedies are still being debated to this day, there is one thing that everyone agrees on: The Great Depression sucked. Read on to learn more. The Great Depression is generally thought of as the 12-year period starting October 29, 1929 and ending in 1941. Its causes and the impact of the remedies are felt (and debated) to this day. It affected every Western industrialized nation and spawned over 634 million stories from parents and grandparents about how terrible their childhood was. 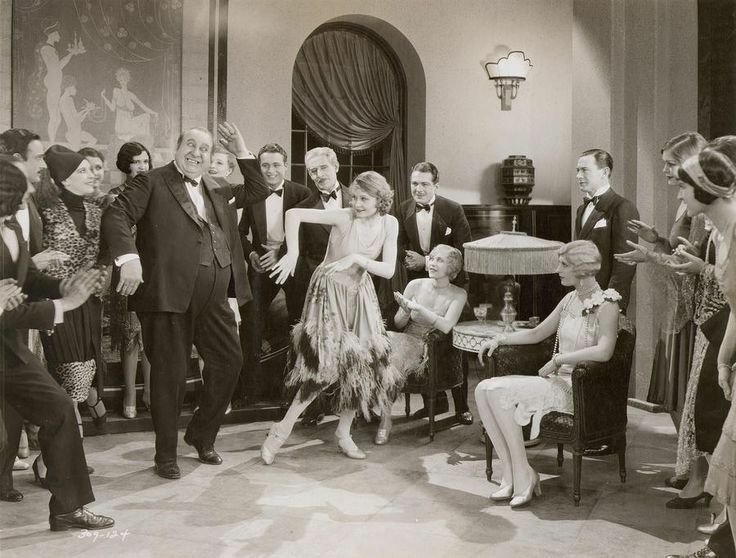 In the 1920s in America, the standard of living was very high, and the economy was based largely on manufacturing. Credit was easy, and many rural Americans migrated to the cities in search of high-paying manufacturing jobs. The remaining farmers, however, didn’t share the prosperity. Increasing costs for land and equipment, coupled with diminishing profits, meant the Great Depression really started a decade earlier for rural America. The stock market ended a nine-year bull market on September 3, 1929, when the Dow Jones Industrial Average closed at 381.17. 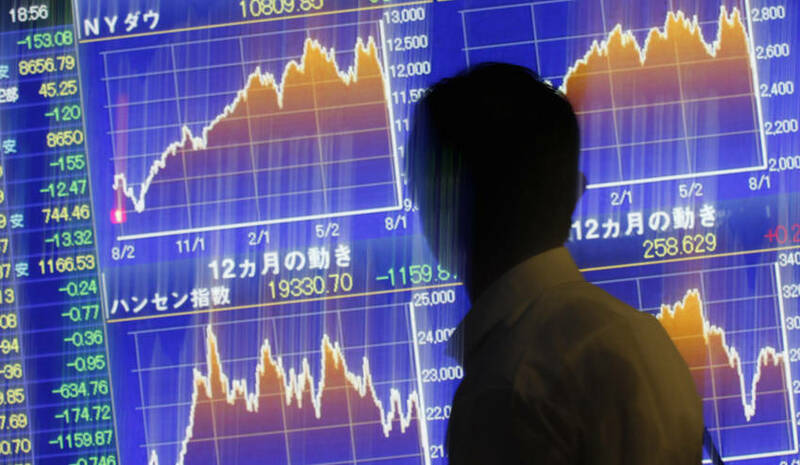 The slide began later that month when the London Stock Exchange was rocked by a fraud scandal. It continued its downward trend, culminating on October 28th and 29th. The tumble continued until July 8, 1932, when the market bottomed out 41.22, an 89% loss from its high just three years before. That’ll put a dent in the old 401K. As people lost faith in institutions, they withdrew their money from banks. The more people withdrew, the more the remaining depositors worried about their money being safe in the bank. 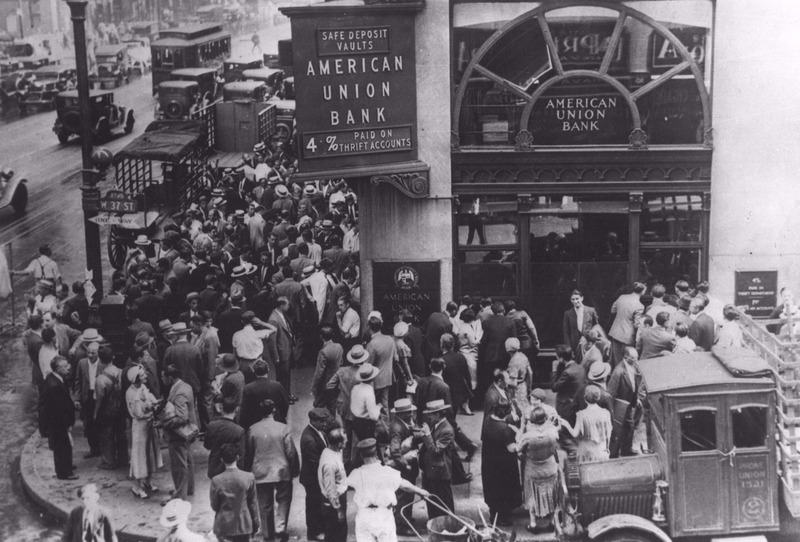 That caused a nationwide run on the banks, which ended up causing 11,000 of the nation’s 25,000 banks to fail by 1933. In order to restore confidence in the banking system, the Federal Deposit Insurance Corporation (FDIC) was formed in 1933. The government initially loaned $289 million to banks in order to guarantee each account up $2,500, to be paid back with interest. Currently the FDIC insures deposits at 5,844 institutions and guarantees accounts up to $250,000 at each institution. 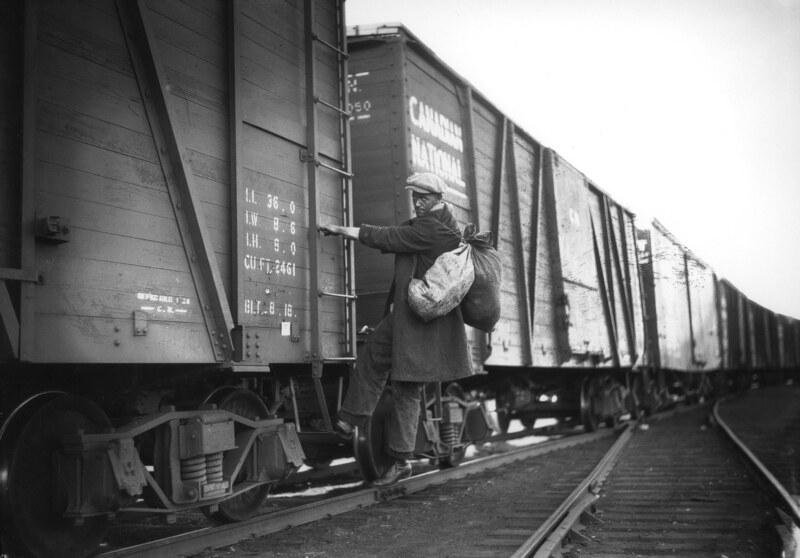 The Great Depression rolled on, and people got caught in a vicious cycle. As their investments lost value, people soon depleted their savings. They cut down dramatically on their purchases, but less buying meant fewer goods needed, so companies didn’t need so many employees. As more employees lost their jobs, the demand for goods dropped even more. Lather. Rinse. Repeat. In 1930, a desperate Congress passed the Smoot-Hawley Tariff. This raised tariffs on imported goods significantly. Instead of boosting American manufacturing, however, it had the opposite effect: US trading partners raised the tariffs on American exports. By 1934, all international trade had fallen by two-thirds. 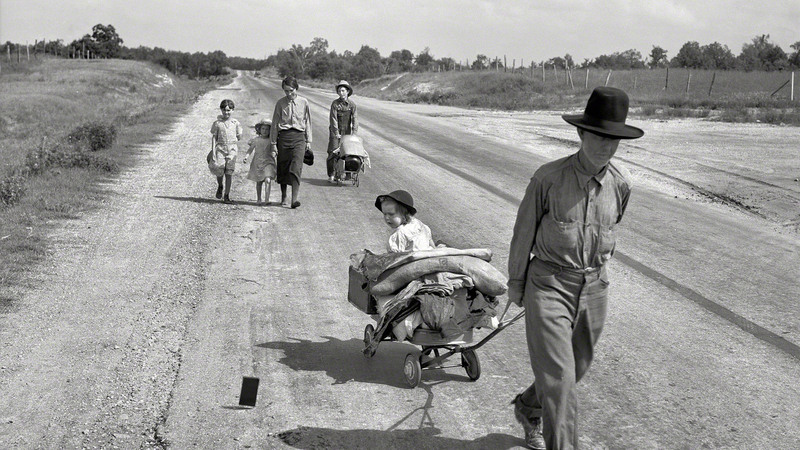 Adding to the economic woes was the Dust Bowl. Severe drought coupled with poor farming techniques led to the disappearance of the topsoil across the panhandles of Oklahoma and Texas, as well as the adjoining states of New Mexico, Kansas, and Colorado. Tens of thousands of farm families were forced to leave their land behind after they were unable to pay their mortgages and taxes. 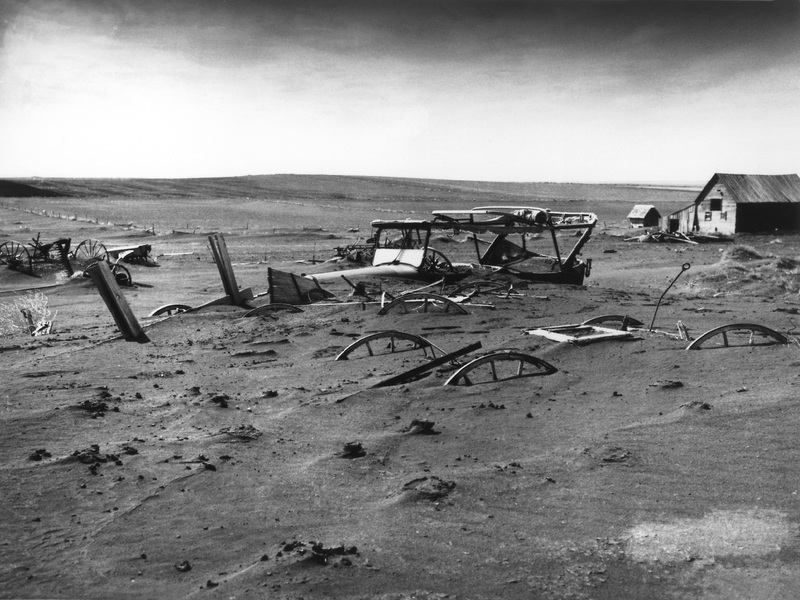 At the height of the Dust Bowl, farmers were losing an estimated $25 million per day ($440 million in 2017 dollars). 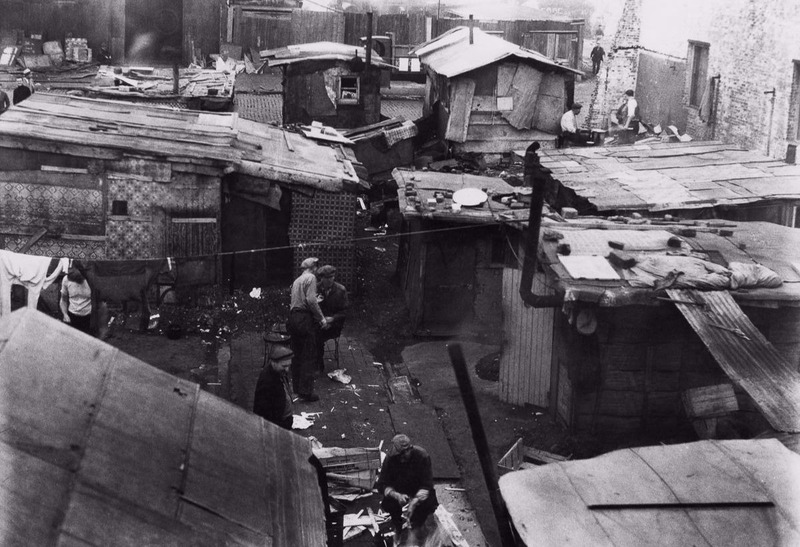 As more and more people were evicted from their homes, shanty towns sprung up around America. The encampments were called “Hoovervilles,” a term coined by the Democratic National Party’s publicity director, Charles Michelson. The name was derived from President Herbert Hoover. 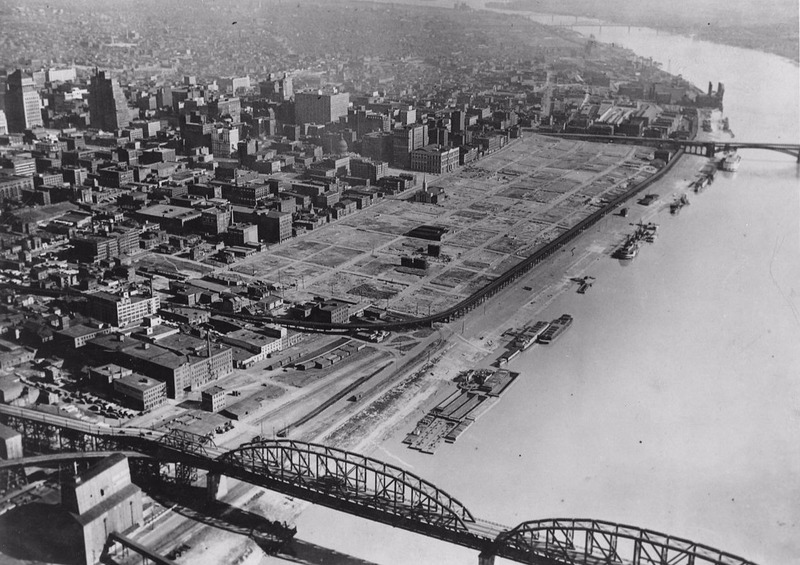 One of the largest Hoovervilles in America was in St. Louis, Missouri. It had over 600 shanties as well as a mayor, four churches, and other social services. It remained a populated community in one form or another until the 1960s. Some of the other items derisively named after President Hoover included newspapers used to cover people as they slept (“Hoover blankets”), empty pockets turned inside out (“Hoover flags”), cardboard used to cover the holes in your shoes (“Hoover leather”), and cars that people couldn’t afford to maintain that were pulled by horses (“Hoover wagons”). The 1932 presidential election featured incumbent Republican President Hoover against the Democratic Governor of New York, Franklin Delano Roosevelt. 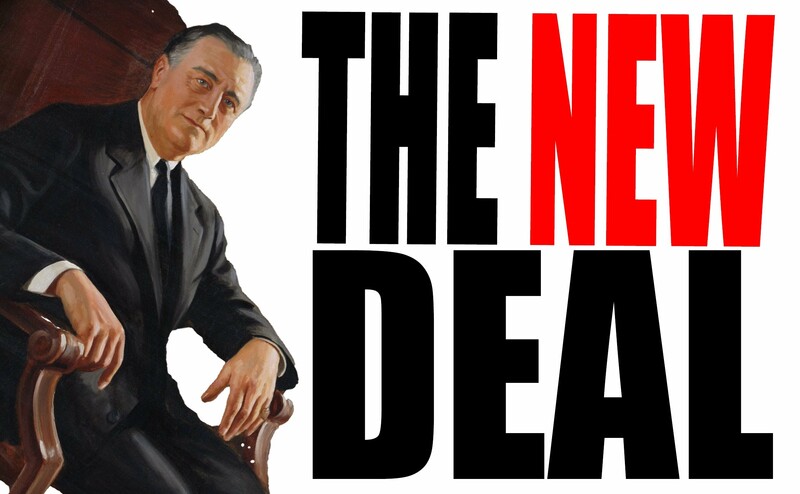 Roosevelt promised Americans a “New Deal” and won the election in a landslide. He carried 42 states in the electoral college versus Hoover’s six. The most amazing part? As the nation was mired in its worst financial crisis ever, Hoover won the Republican nomination largely UNOPPOSED. 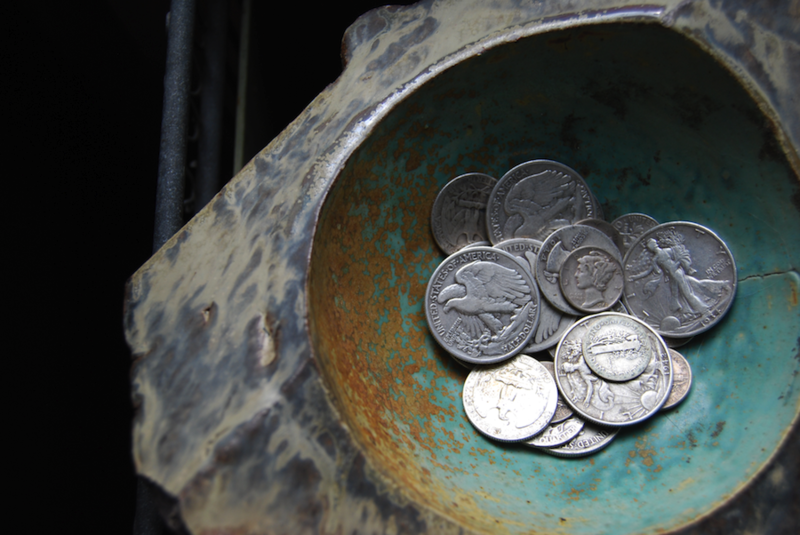 In 1932 and 1933, there was so little money being circulated that the mint didn’t produce any nickels. Wait a minute. Without nickels, how did my grandfather ride the streetcar, see a movie, get a bag of popcorn, and still have two cents left over? Suddenly, his story isn’t adding up. 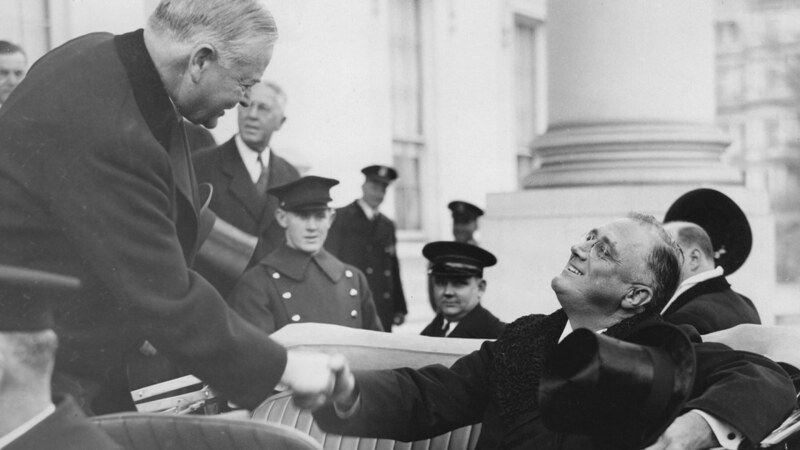 Roosevelt went in a decidedly different direction from the laissez-faire economic views of the Hoover administration. 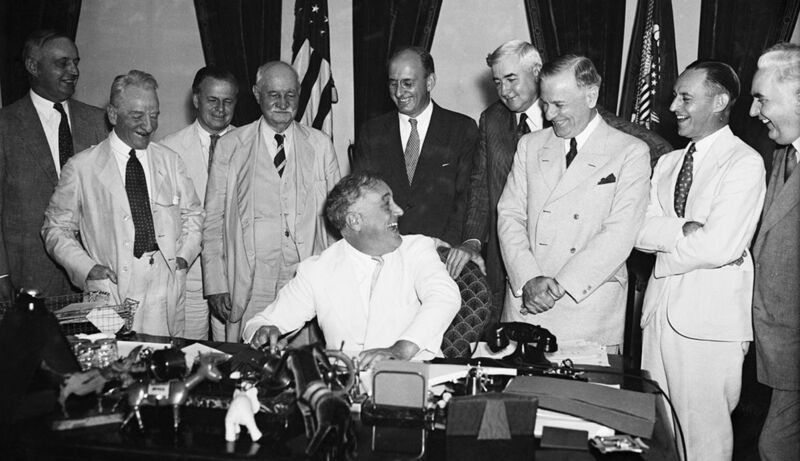 Within Roosevelt’s first 100 days, Congress had passed the National Industrial Recovery Act (NIRA). It was designed to strengthen worker rights and regulate businesses, but it also helped to establish and fund the Public Works Administration (PWA). The PWA funded various large-scale public works projects like schools, hospitals, bridges, roads, and dams. All-in-all, the PWA funded over 34,000 projects between 1933 and 1939, many of which remain in use to this day. Some of the more well-known projects included the Lincoln Tunnel, the Grand Coulee Dam, and LaGuardia Airport. 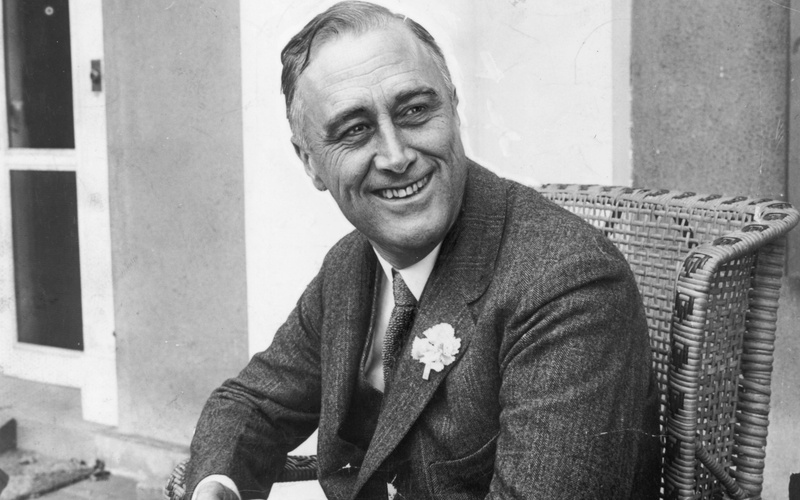 Emboldened by the success of the PWA, Roosevelt would go on to oversee the creation of temporary agencies, called “alphabet agencies,” designed to get workers back on their feet and jump-start the economy. Some were actually created by Congress, while others were formed directly by executive order. As with many promises by politicians, the “temporary” status of some of the agencies was not a completely accurate description. 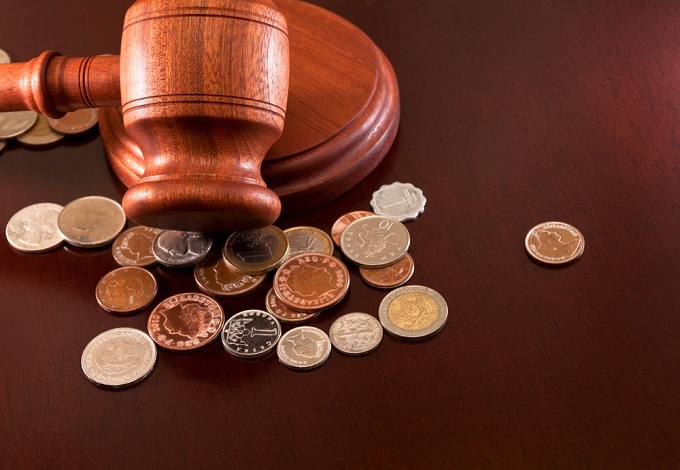 Many of the “alphabet agencies” are still around to this day and include not only the FDIC but the Federal Aviation Administration (FAA), the Federal Housing Administration (FHA), the National Labor Relations Board (NLRB), and the Social Security Administration (SSA). 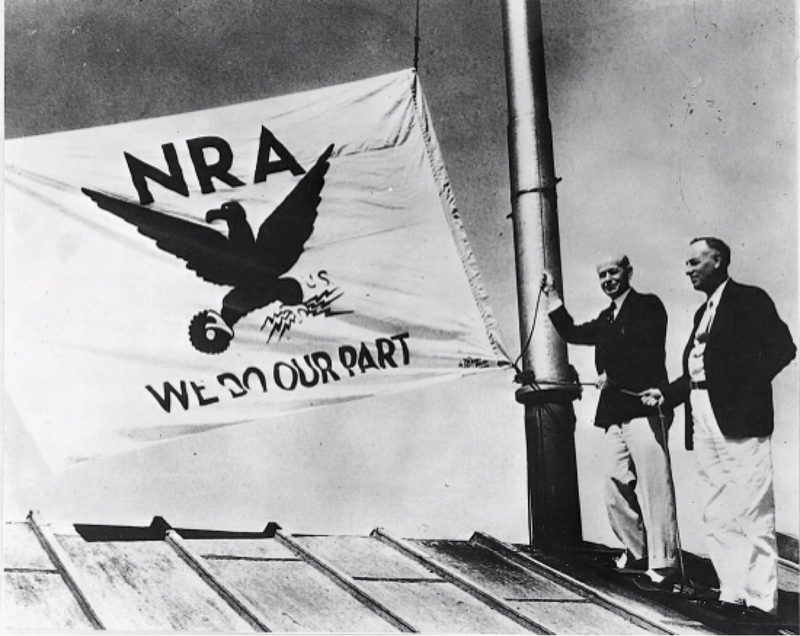 Roosevelt’s programs were generally thought to have turned the tide and set America on the road to recovery. 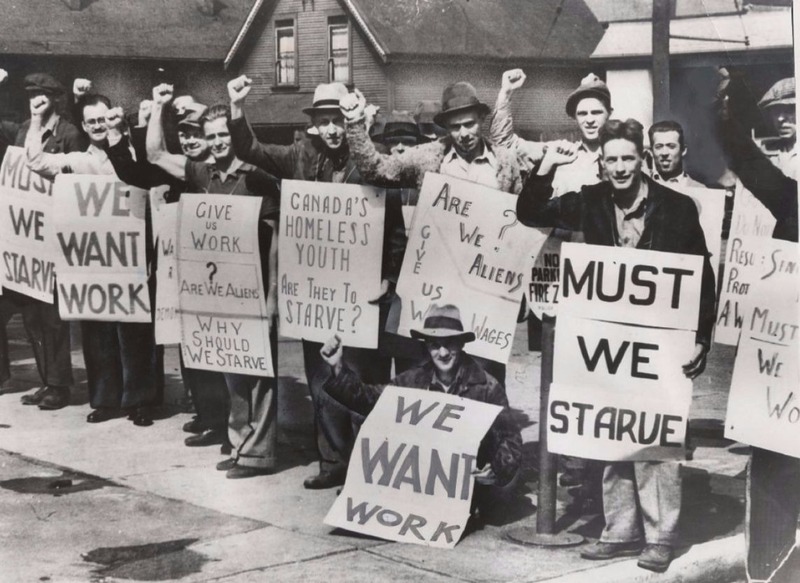 Recently, however, there have been a number of studies conducted that say that Roosevelt’s policies of the 1930s actually extended the Great Depression. UCLA professors Harold L. Cole and Lee E. Ohanian have concluded that without intervention, a much bigger recovery would have begun in 1936, a full seven years earlier than the 1943 marker they believe the Depression actually ended at. Not surprisingly, the suicide rate skyrocketed in the 1930s. While the rate was 12.1 per 100,00 people from 1920-1928, in 1929 the rate was 18.1 per 100,000 people. 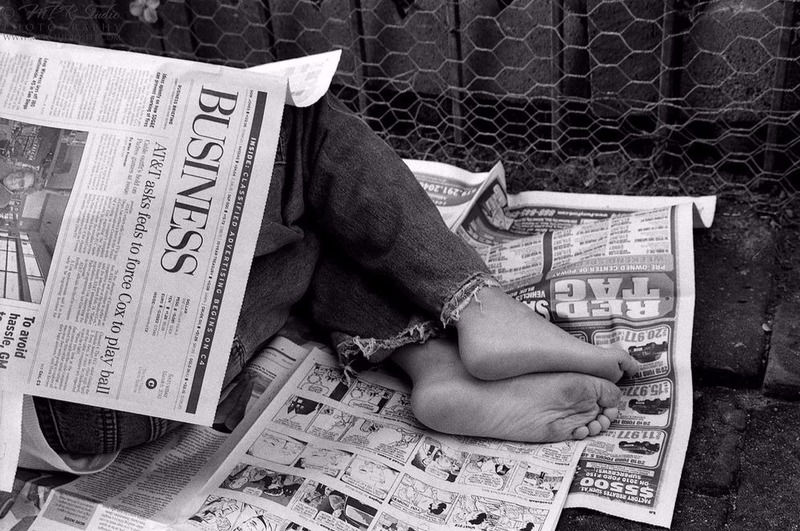 The Great Depression even impacted pop culture. 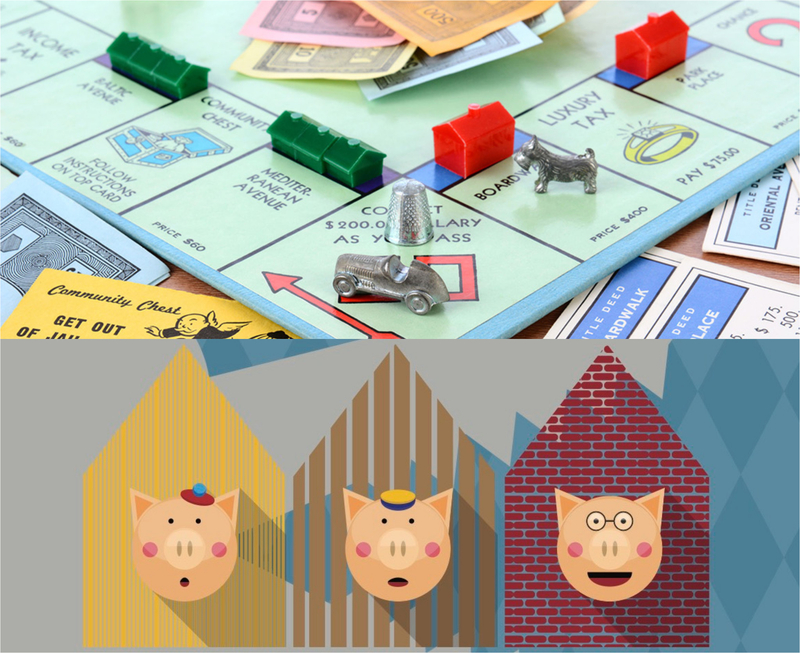 The board game Monopoly was created in 1935 and was an immediate hit. Getting rich, even in Monopoly money, let people dream of better days and gave them hope. In addition, the Disney movie The Three Little Pigs, released in 1933, was an allegorical tale, with the Big Bad Wolf representing the Great Depression and the three porcine brothers representing the values of hard work and teamwork. Up to 40% of the population did not have their standard of living significantly affected. 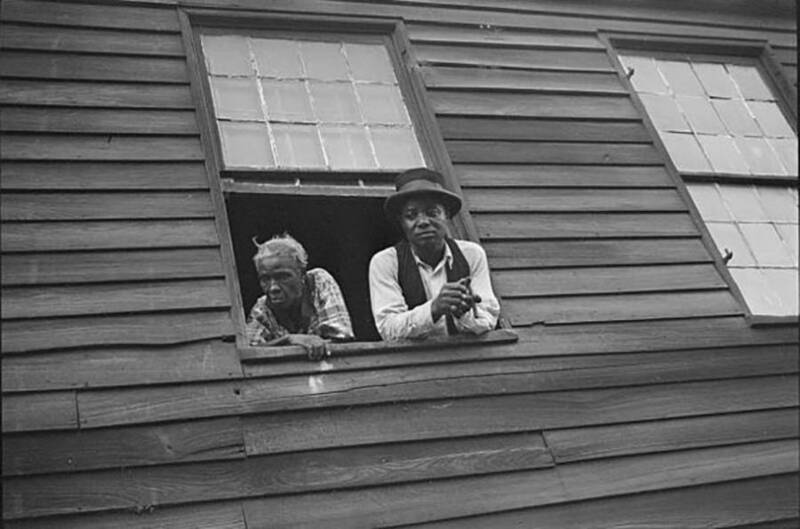 The Great Depression also impacted African-Americans and other minorities at a vastly disproportionate rate. Since most of the bills were passed by a Southern-dominated Congress, they either excluded minorities or provided them with a lower level of relief and less pay. 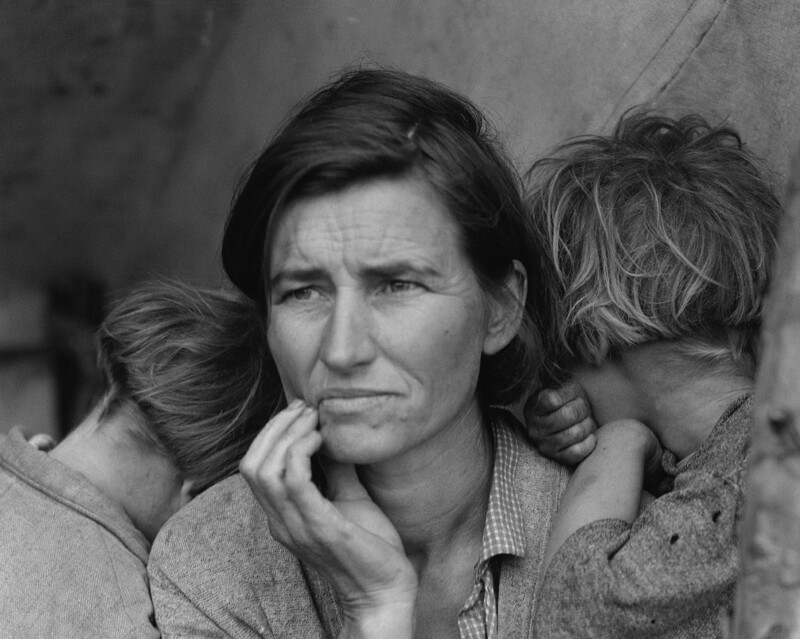 Dorothea Lange’s iconic photograph “Migrant Mother,” taken in 1936, quickly became a symbol of the destitution of the Great Depression, but shockingly, the woman in the photo was never paid a cent for it, even though the photo made Lange rich and famous. The woman’s name was Florence Owens Thompson, and she remained anonymous—despite the photo’s fame—until 1978.